Is your business looking to invest in an automation system that offers a great return on investment? 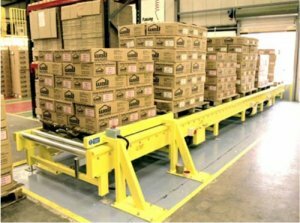 Andrews Automation offers a comprehensive range of pallet conveyor systems which promises to speed up and streamline your stock movement through conveyor automation. As well as providing streamlined stock movements, Andrews can also add additional processes to the system such as pallet wrapping and strapping, rotation and many other services. 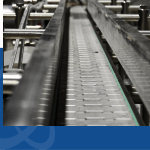 Andrews Automation recently installed pallet conveyor systems which included a wrapping and strapping process for a large packaging manufacturer. 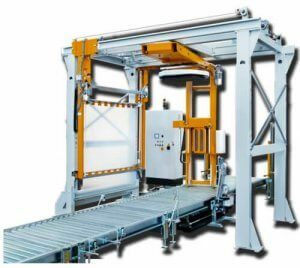 The automated wrapping system was part of the pallet conveyor and has saved the manufacturer £20,000 per year in wrapping media alone. 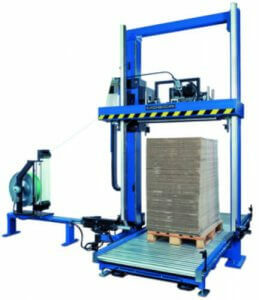 This is on top of the reduced labour costs, faster processing times and reduction in downtime. The previous system involved a large manual process which used excessive amounts of packing material and a large labour force to process the stock movement. This was all changed with the pallet conveyor system which also saw a noticeable improvement in the health and safety on the warehouse floor with a reduced number of staff and many manual processes no longer needed.